As a publishing professional, you know that PDF files can be troublesome to work with.They are not generated as expected, do not output as expected and more often than not you have to edit the PDF even though Adobe Acrobat does not support it. 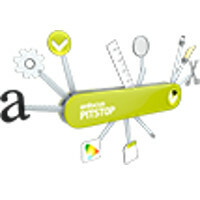 PitStop Pro now brings you a plug-in for Adobe Acrobat that offers the solution to those problems. From now on editing a PDF will be a piece of cake!